This comprehensive volume presents state-of-the-art scientific research on the therapeutic uses of cannabis and its derivatives. All too often, discussions of the potential medical uses of this substance are distorted by political considerations that have no place in a medical debate. 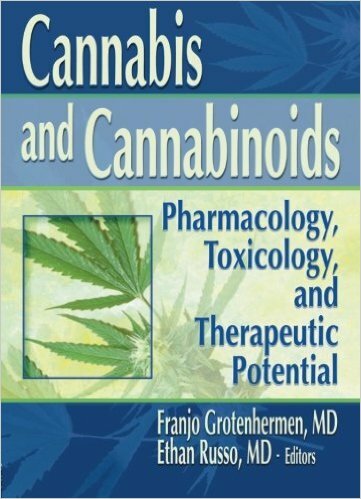 Cannabis and Cannabinoids: Pharmacology, Toxicology, and Therapeutic Potential features fair, equitable discussion of this emerging and controversial medical topic by the world’s foremost researchers. Cannabis and Cannabinoids examines the benefits, drawbacks, and side effects of medical marijuana as a treatment for various conditions and diseases. This book discusses the scientific basis for marijuana’s use in cases of pain, nausea, anorexia, and cachexia. It also explores its possible benefits in glaucoma, ischemia, spastic disorders, and migraine.